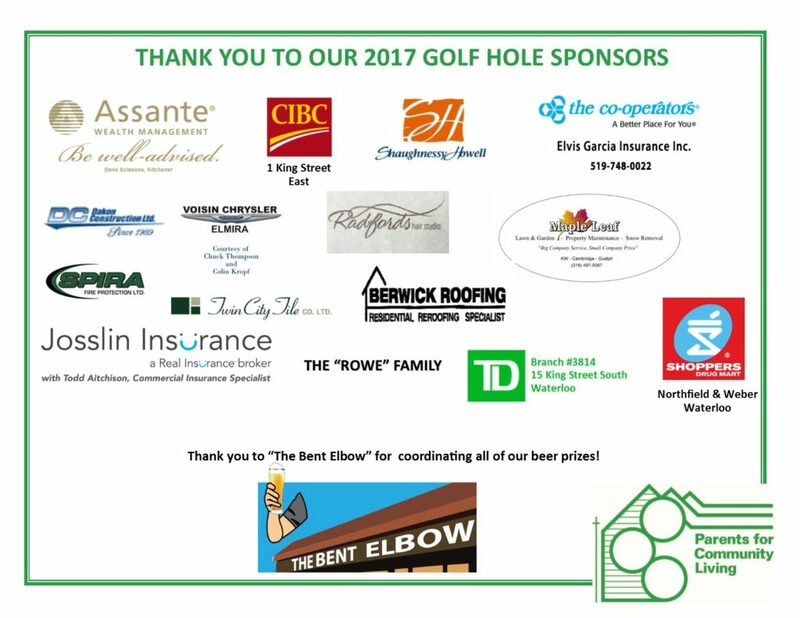 We’d like to thank everyone who donated and partipated in PCL’s 2017 Golf Tournament. It was a wonderful event and we couldn’t have done it without your support! We look forward to seeing you at our Tournament in 2o18 — Date to follow once confirmed. Steak and Chicken + buffet with salads grilled vegetables and variety of desserts. To register, please click on the link below and complete the registration form. Once complete, please forward your form with payment to the PCL Office at 30 Dupont Street East Unit #102 Waterloo, Ontario N2J 2G9. If you have any questions, please do not hesitate to call Angela at 519-742-5849 ext. 100.